Giardia arrived here in the fall of 2011 from MT Pleasant, Texas as we continue our never ending search for those feed efficient out cross, polled heifer calves. Her sire Star Palm, born in 1973, has made his mark south of the US border and we believe Giardia to be his only polled offspring. Her first calf by ABR Sir Arnold’s Image gave us an impressive polled bull calf who is in our bull development facility and will be for sale next spring. 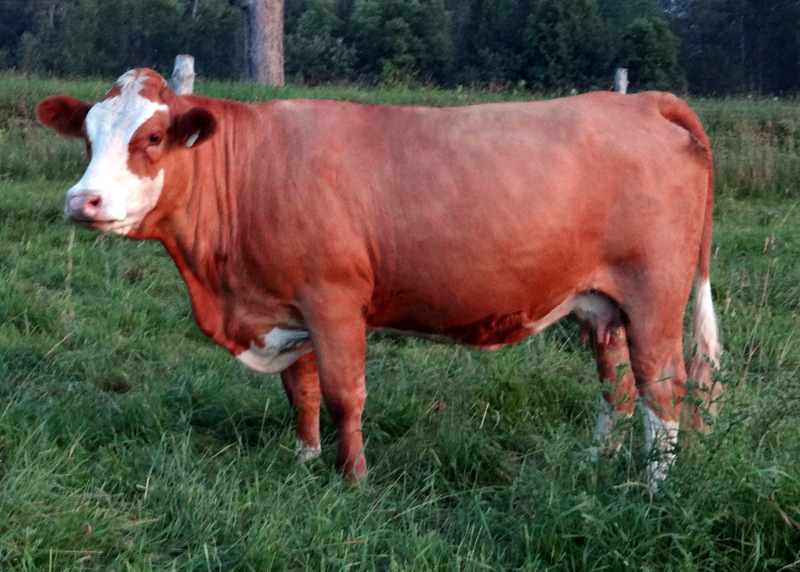 Giardia is bred to our junior herd sire Platinum for an January 2014 calf. She also has an impressive genomic score, putting her in the top 2% for feed efficiency.